How do I add a reviewer to a document set? In the workflow of a document set, click Review Information on the step list. Click the Add Reviewer button. Enter the reviewer's email address in the text box. By default, Can Edit? is set to Yes. This means that the reviewer is able to make modifications to the information you or other people have entered. Also add as an observer? is set to No by default. 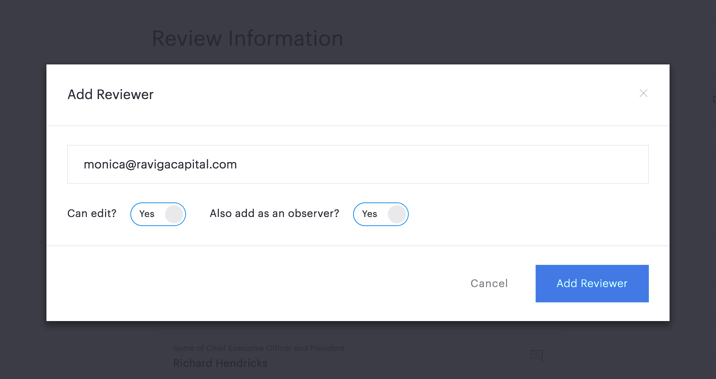 If you switch this to Yes, the reviewer will also be added to the document set as an observer. See What's the difference between reviewers and observers? for more on reviewers and observers. 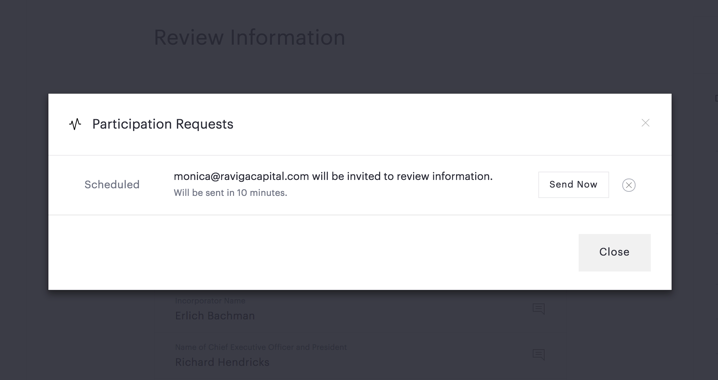 By default, reviewers will receive an email notification 10 minutes after you add them (unless you change your mind and remove them before then). If you want to send an email notification immediately, click the red workflow notification icon in the upper right of the page. 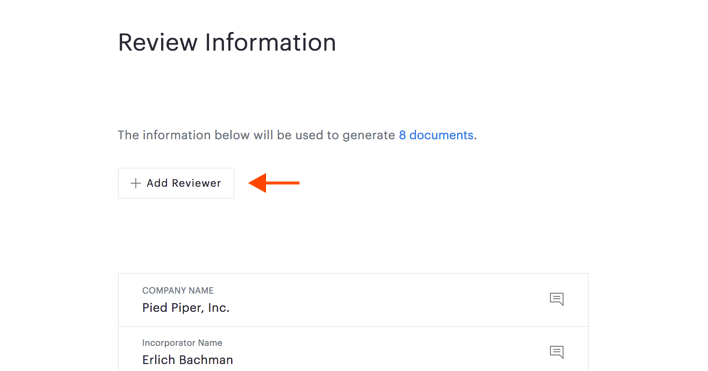 Then click Send Now next to the reviewer's invitation.